Whenever it rains a magical puppy called Muddle appears! 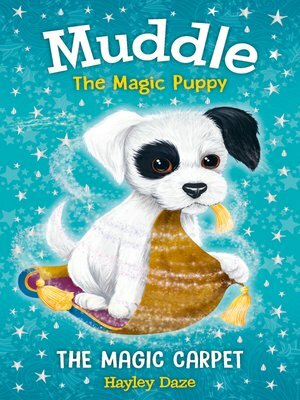 Muddle the puppy is magic, but he's also a little bit naughty! Emerging readers will laugh along to the humorous stories featuring best friends, Ruby and Harry, and build their reading confidence at the same time. In The Magic Carpet Muddle jumps into a magical puddle and takes Ruby and Harry on an amazing adventure to Arabia! They need teamwork and a lot of puppy magic to help a young boy win a magic carpet race. Luckily, Muddle, Harry and Ruby make a great team!